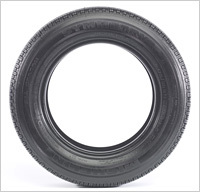 The auto industry uses particle accelerators to treat the material for radial tires, eliminating the use of solvents that pollute the environment. 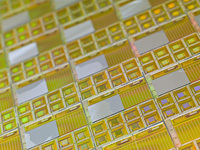 The semiconductor industry relies on accelerator technology to implant ions in silicon chips. Superconducting wire designed for particle accelerators enabled the creation of powerful magnets for MRI scanners. Made out of pure niobium, superconducting cavities have the ability to accelerate particles efficiently to high energies, making it a desirable technology for future accelerators and such applications as nuclear energy and waste transmutation. Electron beams make shrink wrap tougher and better for storing food and protecting other products, such as board games, CDs and DVDs. 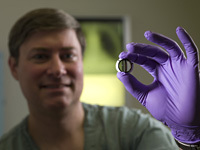 Physicists at Alabama A&M University hope to improve the safety of artificial heart valves by forming them from material bombarded with silver ions from a particle accelerator. 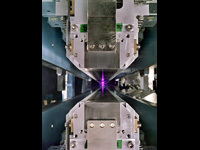 The Advanced Light Source at Lawrence Berkeley National Laboratory produces powerful x-ray beams, one billion times brighter than the sun, offering unprecedented opportunities for state-of-the-art research in materials science, biology, chemistry, physics, and environmental sciences. Researchers used the Advanced Photon Source at Argonne National Laboratory to develop Kaletra, one of the world's most-prescribed drugs to fight AIDS. Turning Cornell's existing electron storage ring, CESR, into a test facility for a future linear collider will provide extensive hands-on learning opportunities for students. Jefferson Lab's Continuous Electron Beam Accelerator Facility has more than 2, 200 magnets in 58 varieties. They range in size from a few inches to two yards and weigh as much as five tons. 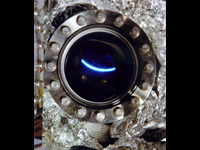 One of the two optical cavities used to reflect light in the Jefferson Lab Free Electron Laser to produce 10000 watt laser light at different wavelengths. 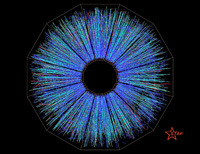 The Linac Coherent Light Source at SLAC National Accelerator Laboratory produces ultrafast pulses of X-rays millions of times brighter than even the most powerful synchrotron sources — pulses powerful enough to make images of single molecules. 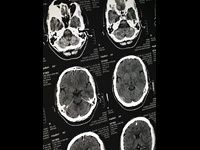 At Brookhaven National Laboratory's National Synchrotron Light Source, a combination of ultraviolet and infrared light is used to study the structure of the proteins involved in the formation of plaques and tangles in the brain of Alzheimer's disease patients. 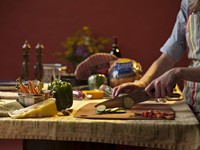 Understanding the structures may help to develop ways to prevent progression of the disease. At Brookhaven National Lab's Relativistic Heavy Ion Collider, physicists from around the world study what the universe may have looked like in the first few moments after its creation. 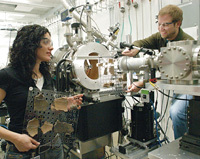 The Spallation Neutron Source at Oak Ridge National Laboratory helps researchers improve such areas as medicine, material science and agriculture. 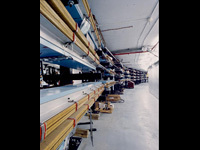 SLAC National Laboratory's Stanford Synchrotron Radiation Lightsource, the first user facility in the U.S., has provided synchrotron radiation to the scientific community for over 30 years. 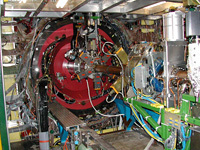 The 1000 superconducting magnets built for the Tevatron at Fermi National Accelerator Laboratory paved the way for industry to develop powerful magnets for medical diagnostic tools, such as magnetic resonance imaging, or MRI.